Howard G is a playwright, actor and director. 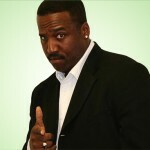 He has appeared on HBO’s Def Comedy Jam and The Wire, BET’s ComicView and on Showtime at the Apollo. He currently has a musical comedy stage play entitled Never Could Have Made It that is touring the east coast.